Religion has just been twisted and mangled beyond belief during the last 2000 years. We don't know what to believe in anymore. Now let's forget about Rome for now and fast forward a few years. Not even 1500 years later and Christians are killing for god? Tsk tsk. SOMEONE is forgetting the 10 commandments. As you can see, Christianity is not a true nor pure faith. It was twisted beyond the point of where we don't even remember the original idea of why Christianity was founded in the first place. That's why it pisses me off when half-butted "prophets" come and tell me something I didn't know about Jesus. And they won't even tolerate other religions. Screw them. NO ONE knows the true faith of Christianity anymore. No one is perfect. Humans make mistakes and they sure did it to Christianity. You can't know for sure if someone is going to Hell or not based on their actions because remember, something you do in your life may condemn you to hell, whether it exists or not. It's the same deal with Islam. Their true purpose was to spread peace and love, but terrorists extremists just warp that into excuses into attacking and terrorizing people. I'm not saying Atheism is true, nor is Islam. I am a devoted Catholic but the forcing of religion unto other people just contradicts Christianity history. - The Roman Empire didn't fall until 1453 at the hands of the Ottoman Turks. It had nothing to do with Christian hierarchy. It had to do with the Turkish sultans wanting a global empire and the Mohammadans were a bloodthirsty bunch. - This is a family board. Please watch your language. -How can you claim that "no one knows true Christianity"? Are you prepared to defend that statement? Remember, we're not Protestants here. -The Crusades were defensive wars. It is popular to be anti-Catholic, and some rogue Princes sacked Constantinople (the very people the Crusades were to protect), however the true motivation was for the protection of Christian lands by militant Islamic forces (which are still attempting similar actions). If I may be bold, your history is sketchy and seemingly shaped primarily through popular belief and prejudice (which is hardly ever the correct picture). Perhaps an open mind is a cure, if you are willing? Uh, didn't the Roman Emperor of Constantinople request that the Pope of Rome send troops to help reclaim the Holy Land? Yep, also took a personal oath of loyalty from them all as they passed through The City. However this was quickly forgotten, and the Latins began acting for themselves. This isnt true. The sack was political in nature beginning from greed and sin on both sides and resulting in death and schism that has lasted 700 years. Speak for yourself. Many of us do know. You need help, besides education. How exactly do I need help? Everything i've said was true. Don't just come in and say "You need help" just because you can't think of a counter-arguement for what i've said. If you're really going to say that, then prove me wrong. Ialmisry has a soft touch. I would expect point by point breakdown of your post when there is more time. There have been rough times in Church history, but remember the LORD told us that in the world, we will have trouble, but be of good cheer, He has overcome the world! Why do you care what we think of your coffee shop tirade? The Holy Land was not at all the objective of the Byzantine Emperor. He was looking for mercenaries to fight the Turks on the eastern front in Anatolia after the disaster of Manzikert in 1079. The Sack happened during the Fourth Crusade in 1204, the first Crusade was in 1088, during which the Latins passed peacefully through Constantinople. How exactly do I need help? Everything i've said was true. You are misinformed and no, despite your proclaimed confidence, what you've "said" was not true. Your ramblings were filled with speculation, vague assumptions, flawed statements, and incorrect conclusions. It was like a really bad version of Sir Ian Mackellen's early Christianity rant in the DaVinci Code. Don't just come in and say "You need help" just because you can't think of a counter-arguement for what i've said. If you're really going to say that, then prove me wrong. Don't just type up a semi-coherent rant on an Orthodox Christian forum and expect people to counter your "arguments." If anything I have posted has been illuminating, please remember that I merely reflect the light of others...but also it's me. Correct, my "yep" was to the Emperor requesting the troops. But yes, I should have clarified, he didn't care about retaking the Holy Land at that point. The Western Troops who came, however, did. What's your point? All the Crusades had the same intention. The fourth Crusade wasn't intentional on Consantinople, but a rogue element of Venetian princes intent on exacting revenge on the funding they had expected from within Constantinople. The act of which was condemned by Pope Innocent III upon hearing the news leading immediately to an excommunication. I think your view of the Crusades may be a bit biased in favor of the Latins in an effort to go against militant Islam. From the Orthodox position at the time of the Crusades, one side or the other (Latin or Mohammedan) could be an enemy or an ally depending on the Imperial objective, although I'm sure no Eastern Roman viewed either without suspicion since the objectives of both Latins and Mohammedans were conquests of territories currently or formerly belonging to the Eastern Roman Empire. In any event, the impact of Crusading on Eastern Christians was disastrous. Before the Crusades, there were many parts of the Middle East having sizable Christian majorities, even some independent Christian polities such as Edessa and Cilicia. After the Crusading period was over, we see a violent Mohammedan backlash against Eastern Christians, even those not allied with the Crusaders, resulting in genocide. By the 14th century, the native, Eastern Christian population of the Middle East had significantly declined. The Crusades, from an Orthodox POV, were not at all about self-defense--that is Latin propaganda from the time of the First Crusade--which came as a result of increased danger to pilgrims from the Turks on the way to the Holy Land. The Crusades were the first movement of Western imperialism. I would have to counter that your view is biased in favor of Islam only for the effect of not giving any favor to the Latins. The Greek and Latin unity was not severed in 1054. It was culturally strained before and after the event, yet relations continued, especially on the lower tiers of Christianity. However, Islam was and continues to be a militant force of conversion for originally Christian lands. Political unity between the Patriarchates may have been strained, but the faith held within was primarily unified. The original intent was to push back the militant Islamic forces. The efforts failed, especially after events such as the 'sack of Constantinople'. And now, of the original five Patriarchates, four of them are still within strongly Islamic controlled lands (Constantinople/Istanbul, Antioch, Alexandria, Jerusalem). I understand the resulting tensions and worldview after some of the consequences from rogue elements within the Crusades will lead to future disagreements, and I don't expect us to come to an agreement to an emotional topic. However, I would have to continue to hold my own position on the matter that this Crusades were a defensive war against an aggressive adversary. Not to beat a dead horse, as I meant to drop the subject, but if you're interested Prof Jonathan Riley-Smith has written a few books on the subject expressing the same differing understanding of the Crusades. It's the same deal with Islam. Their true purpose was to spread peace and love, but terrorists extremists just warp that into excuses into attacking and terrorizing people. Have you read The Qu'ran and Hadith, or looked at a map of the middle east? Arianism rose again and became today's Catholic faith. Every historian has a bias, but my bias is toward Byzantium and the Eastern Christians. I look at the Crusades from their point of view, which is more mixed than the traditionally favorable Western view or the traditionally unfavorable Muslim view. The Crusading movement was the hallmark of the new, schismatic and heretical papacy, pushing the expansion of temporal power under the guise of religion. The Byzantines viewed the Normans (backed by the papacy) as just as dangerous as the Turks. At least the Turks did not consistently employ a religious policy of false union, unlike the pope and the Latin powers. My point is that you said what I said was not true. I was affirming it is indeed. You seem to have a strange obsession with the fourth Crusade. LOL. Wiggle as you might, you won't worm your way out of intellectual honesty by attacking the person. I'm not playing this game. Let me know, if your interested in discussing something again. And how do you explain the Northern Crusades? Btw, although not a Patriarchate, but predating all the Patriarchates except Antioch and Jerusalem (whose confirmation of autocephaly came Cyprus') Cyprus has remained majority Christian. So too Georgia, also nearly as ancient. Add to that Armenia and Ethiopia. And that in spite of the Crusaders, not because of them. Most of the Patriarchate of Constantinople, once reaching to the borders of Italy, retains a Christian majority. The southern half of the original Patriarchate of the West, i.e. Rome's North Africa, does not. As far as defensive, the Vatican might have done better to follow up on Charles Martel divert its energies to the Reconquista, rather than traipsing over the Orthodox to get to the Muslims. There have absolutely been changes and even mangles in the church in the past 2000 years. Many things that I do not agree with, many things I do agree with, and many things that confuse me badly. With that said there is finger pointing, and I do this as well. The thing is we have to recognize somewhere nestled in the immense amount of fluff (good & bad fluff) there exists the importance of the Christian faith. We have what we have though. 1) The theology and beauty in prayer, the depth of the soul wrenching and deep spirituality of the Eastern Orthodox. 2) The lives lived as the Anabaptists in simplicity, charity, in community, in non-resistance, with less than a 2% divorce rate. 3) Every man washes every man's feet, and every woman washes every woman's feet. This humbles EVERYBODY. 4) Very modest dress for women as they respect themselves. Head coverings. Home made non exploitive clothes for everyone. 6) The churches of the Anabaptist. Completely simple & efficient. Nothing needed ornate - just plain & simple. No power grabs or pointing fingers, but rather the practice of "shaking the dust from our sandals". 9) A non worldly church that does not commemorate the government and is not a 501c3 corporation. There is more, but that covers a bunch of it. If the EO could keep its depth and grace & RE LEARN how they were at first in their lives ( many pre & post Nicea laymen) and works they'd find themselves to be living as Anabaptists (Amish & Mennonites) in the full grace of Orthodoxy. Ah, yes. To worship ecstatic pagan oracles alongside my Corinthian brothers in the first century. To make love to my mother in law and force everyone to follow kosher, maybe stone a few friends and scam the church out of some cash. Who knows, someone might try bribing that "Holy Spirit" Peter and Paul talk about. What a paradise those days were! What would the EO have to change to live like this, compared to how they live now in Western and Old World countries? Do they need to renounce technology and live as farmers? "For Christians are not distinguished from the rest of mankind either in locality or in speech or in customs. For they dwell not somewhere in cities of their own, neither do they use some different language, nor practise an extraordinary kind of life... But while they dwell in cities of Greeks and barbarians as the lot of each is cast, and follow the native customs in dress and food and the other arrangements of life, yet the constitution of their own citizenship, which they set forth, is marvellous, and confessedly contradicts expectation. They dwell in their own countries, but only as sojourners; they bear their share in all things as citizens, and they endure all hardships as strangers. Every foreign country is a fatherland to them, and every fatherland is foreign... They find themselves in the flesh, and yet they live not after the flesh. Their existence is on earth, but their citizenship is in heaven. They obey the established laws, and they surpass the laws in their own lives." -Epistle of Mathetes to Diognetus, early 2nd Century AD. Would you have us, all of us, contradict what the early Christians did, living in separate communities from the rest of the world? Not just our monks, but our average laypeople. We mustn't hide our lamps or pretend we're out of the world even though we aren't of it. We're Christians, like St. John and his disciples. Edit to add: ^ Great post, Nicholas! Do you perhaps have a twin who accesses your computer and posts vehemently anti-ecumenist opinions in other threads? That line of thinking doesn't seem compatible with your highly critical view of the current EO Church, suggesting that it borrow from Anabaptists, Messianic Jews, etc. "1) The theology and beauty in prayer, the depth of the soul wrenching and deep spirituality of the Eastern Orthodox." I think we can both agree that this is very important. No argument there. "2) The lives lived as the Anabaptists in simplicity, charity, in community, in non-resistance, with less than a 2% divorce rate." While I do think a divorce rate of less than 2% would be phenomenal (and while we are shooting for things that would be nearly impossible to get to happen without some major miracles, on a wide scale anyways, why not shoot for no divorce? ), it is important to remember that very few anabaptists actually live the kind of life you are thinking of (the Amish life). Also, if you want a simple life, I recommend you start by canceling your internet, phone, and television services. I also recommend you sell off your electronic devices and go buy a wood burning stove. While we're at it, why not get rid of your car and bicycle, then your life will be much simpler as you only need think about any locations or people that live within walking distance of you. As for charity, if you wish to be exceptionally charitable, you could sell everything you own, and start living in some tiny one-room apartment in the crappy part of town, and eating only at soup kitchens, and having no electricity or water, and donate all of your income to charitable groups. As for community, I have heard that in some places the homeless community sticks together. You could go live with them. Oh, and you will get to practice non-resistance there, by not trying to keep people from stealing your coffee can full of money you collected that day. "3) Every man washes every man's feet, and every woman washes every woman's feet. This humbles EVERYBODY." It is also fairly pointless in today's society because most people's feet stay fairly clean given that most people don't have to wear sandals everywhere. "4) Very modest dress for women as they respect themselves. Head coverings. Home made non exploitive clothes for everyone." I agree that modest clothes for women - and men - should be worn, though I am not quite sure why we should want to make them only wear dresses. Why not blouses and skirts? Also, very few people actually know how to make clothes, and it is less expensive to just buy them. Not to mention you would then have more free time for a variety of good pursuits, such as teaching children to read. "5) The depth & grace of the Eastern Orthodox sacraments, but not entirely how they are done. (Confession between laymen as well) "
The depth and grace of the sacraments is inherently tied into how they are done. At one point everyone confessed their sins in front of the entire Church. There is a reason that that is no longer the case. "6) The churches of the Anabaptist. Completely simple & efficient. Nothing needed ornate - just plain & simple." So you want "The...beauty in prayer" without any of the beauty of the Church? You do realize this is at least semi-gnostic right? It is saying that we need only honor God with your thoughts, that we shouldn't praise him through physical beauty as well because the physical is unimpotant and/or sinful? As well, God mad the world and all that was in it beautiful. How do we honor Him by praising him in the most simple and unelegant way possible? Is it not hubris to think that God should have made the beauty of a Cardinal and a Dove for humanity but that we shouldn't honor Him with as much beauty as we can create? "7) No fighting between Bishops. (and then I woke up)"
This we agree on completely. Now, when it happens, you make sure to call the ambulance BEFORE you tell me, so that it can get me to the hospital after my heart attack and/or stroke. "No power grabs or pointing fingers, but rather the practice of "shaking the dust from our sandals". " "9) A non worldly church that does not commemorate the government and is not a 501c3 corporation. " If the Church has any income whatsoever, then it must either pay taxes or incorporate as a 501c3 organization (in the US). As well, what is wrong with praying for the government and its leaders? Do you not want them to turn from their sins and be saved? Orthodox have foot washing services, James. First of all, then, I urge that entreaties and prayers, petitions and thanksgivings, be made on behalf of all men, for kings and all who are in authority, so that we may lead a tranquil and quiet life in all godliness and dignity. This is good and acceptable in the sight of God our Savior, who desires all men to be saved and to come to the knowledge of the truth. The Christian faith was prosecuted from the very start. It's teachings, moved from the original disciples of Jesus, and it eventually reached the Roman Empire. At the Crucifixion (which was performed by Romans) things happened which made it clear that this was no ordinary Man they had nailed to the Cross. (... ) Indigenous tribes were also attacking Rome in its weakened state. At this time, the church appointed bishops, whose jobs were to interpret the Bible into a lifetime doctrine and rebuking false regards of others. Where did you get this notion from? The Crusades were military attempts at taking back the Holy Lands (Israel) from the Islamic race. The Crusades were an exercise in plunder... they even sacked Constantinople! Israel is not a land... Israel is the Church. Well, the Bible makes it clear that "We shall know them by their fruits" and "by their love"... So ipso facto it is clear that these could not have been true Christians. This is an Orthodox Christian board... therefore because Orthodox Christians had naught to do w/ the Crusades and were in fact themselves victims of the Crusaders - you're barking up the wrong tree just a bit. As you can see, Christianity is not a true nor pure faith. Wrong. It is the ONLY true faith; founded by God Himself. It was twisted beyond the point of where we don't even remember the original idea of why Christianity was founded in the first place. I'll allow you that what you say is largely true when it comes to Western 'versions' of Christianity... but you need to keep looking because that's just not true. The Church has been here the whole time... Open your eyes and you'll see that you've actually stumbled upon it! That's why it pisses me off when half-butted "prophets" come and tell me something I didn't know about Jesus. NO ONE knows the true faith of Christianity anymore. The Church does... guided by the Holy Spirit. Humans make mistakes and they sure did it to Christianity. This I can agree with. The first big mistake was altering the Nicene-Constantinopolitan Creed... It's been all downhill from there for the West. You can't know for sure if someone is going to Hell or not based on their actions because remember, something you do in your life may condemn you to hell, whether it exists or not. A true Christian would never presuppose to know the eternal destination of another person after bodily death. Read much Qu'aran have you? Pretty hard to spread peace and love with a sword. I move that the board adopts a rule that it is forbidden to call another poster a 'Troll'. How do you presume to know the intentions of a person? And what's it to you if someone else wishes to engage this person, telling us not to respond (doing so in your own response) and then replying to the thread again yourself thrice more? How is it OK for you representing yourself as a Christian to accuse and label someone; calling someone names in a way that is far from nice? I didn't mean to suggest that foot washing ceremonies should never happen. I didn't know Orthodox do them but in a way I've always admired the Roman tradition of a priest washing several lay people's feet I believe just once a year. But how Yeshuaaism said it, I assumed he meant as something to be done on a regular basis. He copypasted his post in multiple fora. 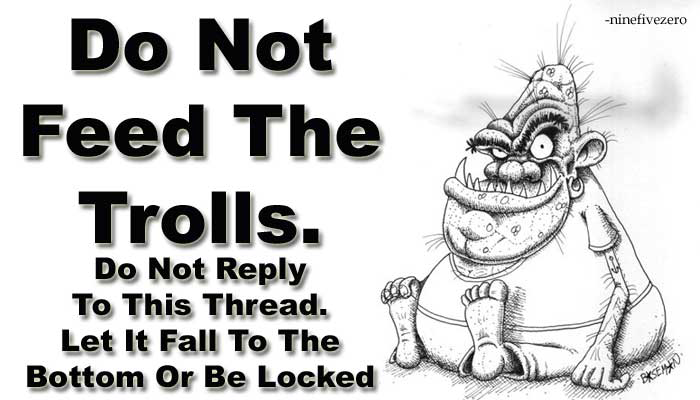 Plus, calling someone a troll isn't really an insult to their personhood, it's saying they're messing with us. Because Yeshuaisiam started posting something slightly related, and he is not a troll. It's not really a mean name on the internet. If it offended you, I'm sorry, and won't use it again here unless we have troll confirmation. This is heavily why I'm considering the Anabaptist faith for my family. They basically just cut the fluff and rooted back to early Christian principals. I just wish there was an Eastern Orthodox church that skipped out on the "fluff" and lived the way the early Christians did. There were those who were not persecuted, and lived very similar to the Anabaptists. Who, exactly, were the "not persecuted" first century Christians, other than those that informed no one they were Christian? I said early Christians not first century. And, yes, that includes those that didn't inform others. according to my dad's good ol' recorded tapes of the history channel of the early 90's, the Emperor of Constantinople only asked for a small number, perhaps 50 mercenaries, to help protect Christians and Christian holy lands. eventually, the Pope took this the wrong way, and most of Europe went to Constantinople. He even said that if you went to fight and died fighting in the crusade, your sins would be forgiven. many western Christians killed Eastern Christians. this is especially true of the Templar nights, who killed anyone who refused to swear allegiance to the Pope of Rome. I went cross-eyed after this. You must be aware that Baptists are also Anabaptists. Also, there are many non-Anabaptist Christians who strive to live a simple, Godly life. Finally, the lives of the Mennonites and Amish are not as simple as they seem at first glance. Can you point to any early Christians who were not persecuted and lived like the anabaptists? Also, if some Christians didn't inform anyone they are Christian, are they really the BEST example to follow? I don't mean to judge them, because I cannot possibly know what it would be like to announce to the world that you are a Christian, when your world wants to kill people who becomes Christian. However, while they may have been justified in keeping that quiet, aren't better examples to follow those who boldly proclaimed the Gospel everywhere they went despite the consequences of these actions? Second Chance, that's a very good point. I would bet that the lives of those that we think have simple lives, such as the Amish, are much like monasteries - from the outside it seems to be a laid back simple existence, until you become one and realize there's a whole host of stuff you never even thought of. Page created in 0.181 seconds with 26 queries.